I am back with another episode of our #meetthegirlbosses series. 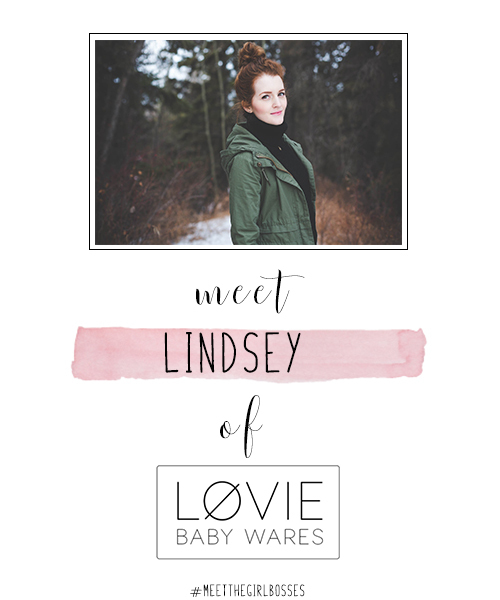 This week I am excited to introduce to the beautiful Lindsey of LOVIE. 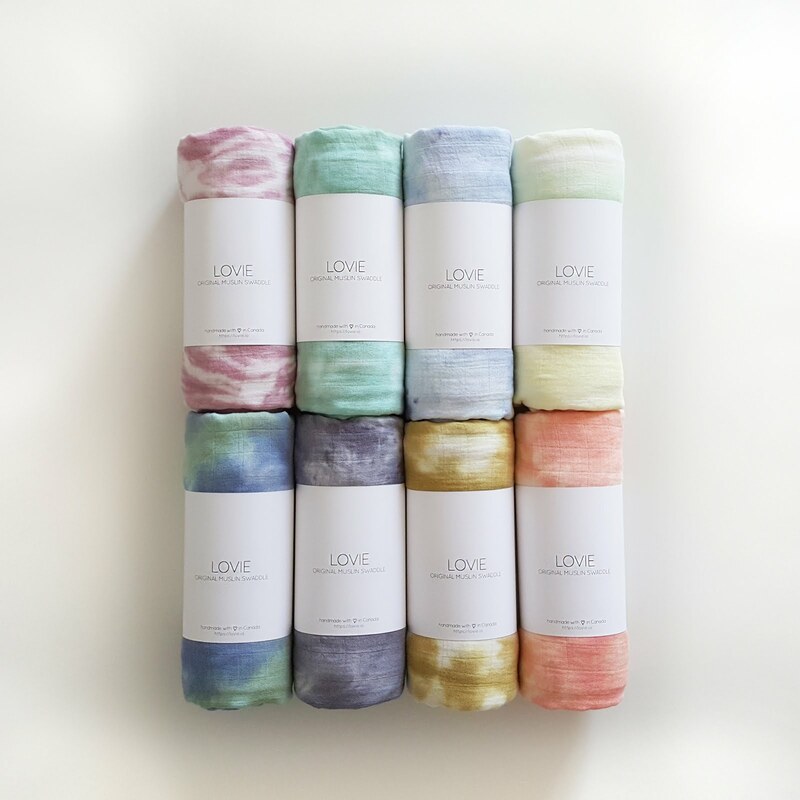 She lives and works in Edmonton where she creates the most beautiful tie-dye swaddles, onesies and security blankets for your little ones. 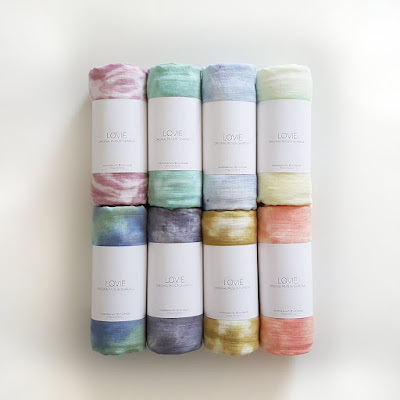 The quality of her products is incredible, and I just love everything about LOVIE, from the pretty packaging, cute hand sewn labels to the variety of gorgeous colors that come with each and every one of her new collections. Could you describe your business? 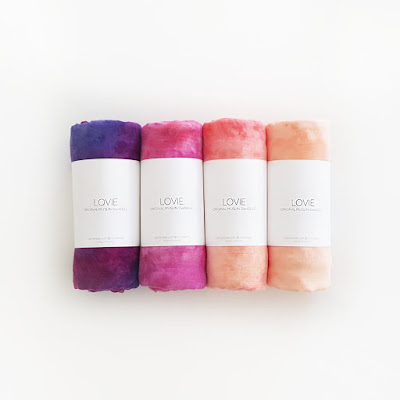 LOVIE was born out of an idea to give parents versatile baby goods that are uniquely beautiful, versatile, and of exceptional quality. 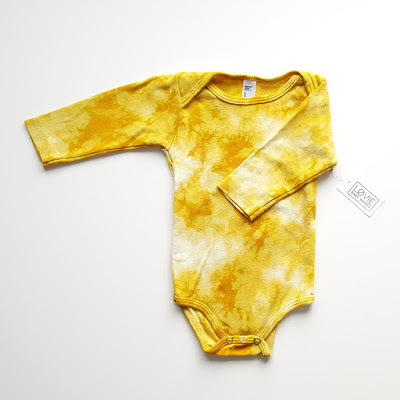 I sew muslin swaddling blankets and then finish them with fabric dye using tie-dye and other techniques. Dyed with vibrant colours and intricate patterns, these are not your average baby blankets. They make for a really nice baby gift or a cool keepsake blankie for any baby. 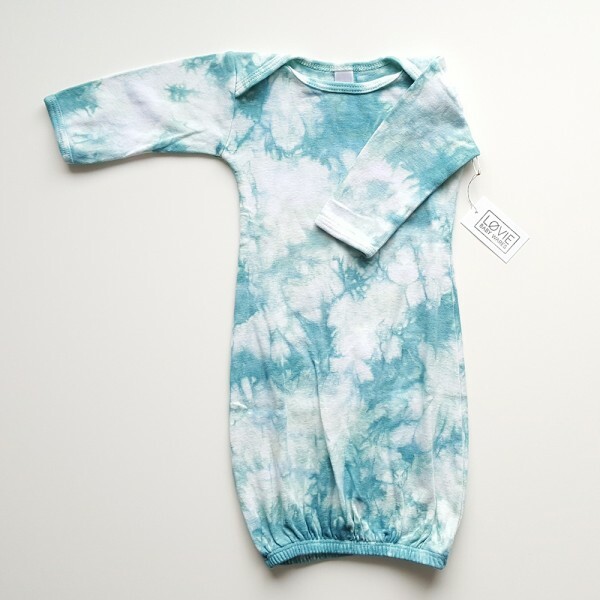 Most recently, I added tie-dye onesies to my line, which I really love. There is nothing more exciting than seeing photos of babies wearing my stuff! I am really proud of my products. They are like nothing I’ve ever seen before, which was a huge goal coming into this business, to provide something really hip and cool! At this point I just want to keep tie-dyeing EVERYTHING! I have so many ideas for the future and plan on releasing a few new additions for Spring 2016. When did you start LOVIE? I started my business about 6 months ago in the summer of 2015. How did you decide to start? Where you inspired by your product and the need for it or did you want to start a business first and thought of the product second? Is it a full time job for you? My husband is freelance internet marketer and we have always chatted about how we should collaborate on a project together. I would create the product and he could help me market it online. That’s when I came up with the idea for LOVIE. I have been a registered nurse since 2008 and I worked in Labour + Delivery for 5 years before moving to Community Health a few years ago, where I still work part-time. I have almost exclusively worked with young families and newborns/infants since I started my nursing career. Being around babies a lot, including family and friends with little ones, has allowed me to experience many different baby products. There was one common theme amongst many muslin swaddles on the market these days - they tend to have more juvenile prints that I didn’t feel were versatile enough for parents. I wanted to create something that parents were proud to show off -- something that had more personality and the versatility to be used through toddlerhood and beyond with a style that grows with the child. Was it hard to get things started? Could you describe the process? It wasn’t difficult, because I was really excited about it. I bought a sewing machine, ordered fabric + dye and off I went. I did read a lot about the process of dyeing, the importance in the types of dyes you use, and different dye techniques. I experimented a little bit but I jumped in pretty quickly and started dyeing blankets right away. My husband helped me with my website and I started an instagram account. I would say the most challenging part so far is getting my name out there and working on growing my business. How did your family react? Your partner? I think I have the most supportive family in the whole entire world. I’m very lucky. They’ve not doubted me once. They’re always there to celebrate my successes and provide words of encouragement in the moments I am feeling unsure of myself. Social media has been tough for me at times. It is really hard to not look at the booming businesses with thousands of followers and feel some sort of jealousy. I know that I am not alone in these feelings. Truthfully though, I do my best to just focus on myself and my business. I know what I offer is unique and deserves it’s own following. Yes, there’s lots of positive self-talk going on over here! I have had a wonderful experience with other entrepreneurs on social media and in the local community here in Edmonton. Many have reached out to offer uplifting and encouraging words, compliments, and general positive sentiments about my business. They have invited me to participate in giveaways, shared and promoted my products, and even invited me for features on their website (wink, wink!). There are many women who have shown a genuine interest in my business and have made social media a very pleasant experience for me. I am grateful for their mentorship and their support. Without them I wouldn’t be where I am today! I have so many hopes and plans and dreams for 2016!! I hope to continue to grow this business. I am aspiring to be in a few local boutiques come spring/summer. I have a few very exciting collabs that I am hoping to move forward with. I would love to introduce a few new exciting products to my line and of course I am hoping they will be well-received! With workshops being so popular these days, I am even considering a tie-dye workshop! If anyone reading is interested in collaborating on this, contact me! Stay positive! Don’t let negative nancies bring you down! It’s very hard to not get overwhelmed with trying to grow a business, so take it one day at a time. Everyone starts somewhere. Most importantly, take care of yourself and enjoy the experience. It’s very rewarding. Thank you so much Lindsey! You can shop the collection here - make sure to stock up on those cute onesies while they are on sale!